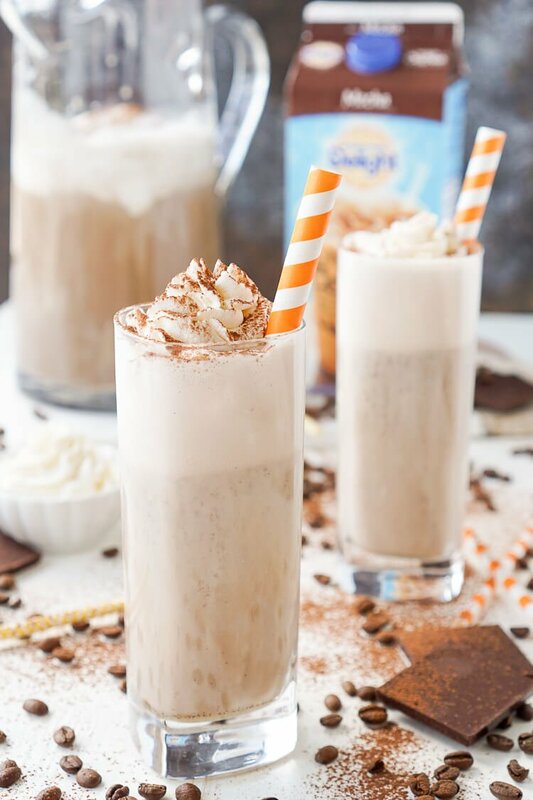 This Mocha Coffee Punch is bound to be a new party favorite by hosts and guests alike! It’s so easy to make and tastes amazingly creamy and delicious! Happy Summer, friends! And boy do I have the perfect way to celebrate it right here, MOCHA COFFEE PUNCH! I know what you’re thinking… Coffee Punch? What? Punch is supposed to be fruity. Well, who made those rules? 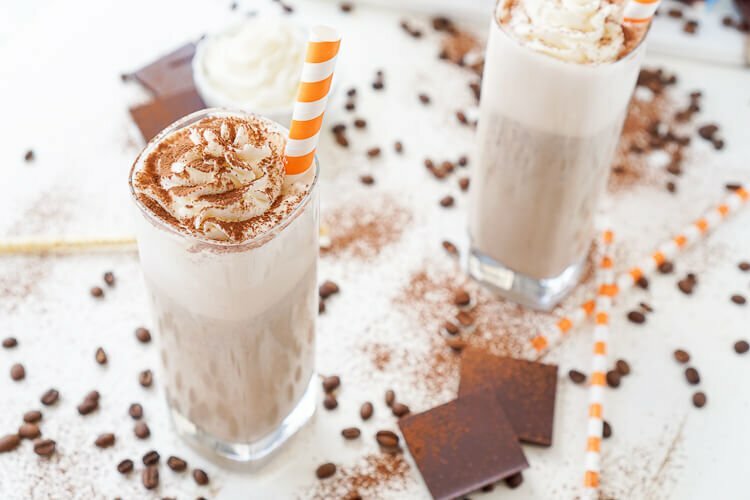 Because today I’m throwing them out the window with this delightful Mocha Coffee Punch that will have your party guests begging for the recipe! Really, though, I love this punch because it’s not only fun and easy to make, the flavors are all there IMMEDIATELY. That’s one of the things I struggle with most when it comes to fruit based punches is that you usually have to let them rest for the flavors to develop. Not this one! 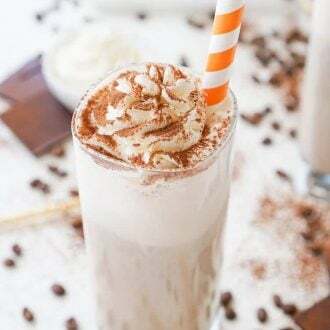 I made this punch with a base of International Delight Mocha Iced Coffee, it’s sweet and creamy and gives the drink that little bit of buzz your guests will love! Then I added sugar, milk, vanilla extract, and good quality vanilla ice cream. Finally, I topped each cup off with some Perfect Homemade Whipped Cream and a dusting of cocoa. Have I changed your mind about punches yet? This one sounds pretty good, right? The other thing that I really love about this punch is that it’s perfect for both a brunch or an evening party. The coffee gives it that early morning appeal as well as giving guests a little extra pick-me-up before heading home late at night! Seriously, what’s not to love about this punch! 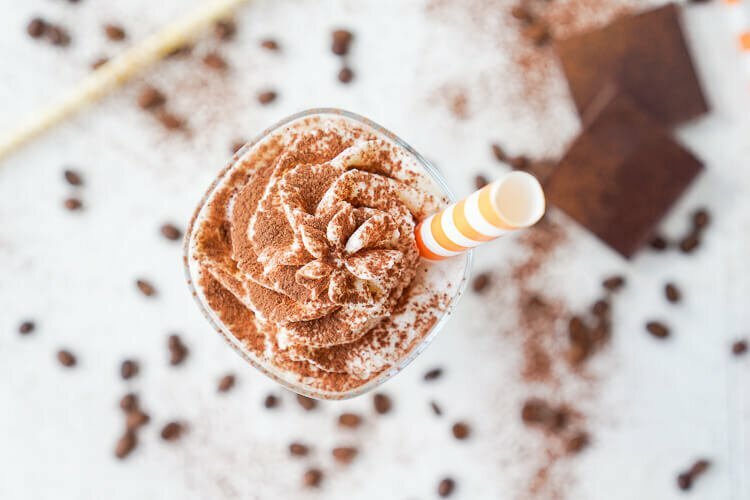 If you’re an iced coffee lover, a chocolate lover, an ice cream lover, and a party lover, this punch is for you – it’s the perfect way to celebrate summer! 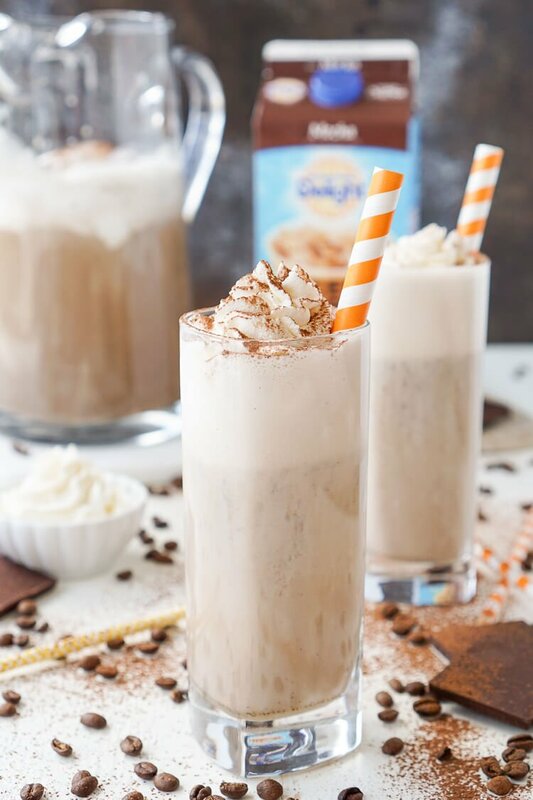 This punch can be made with any of the International Delight Iced Coffee flavors like Vanilla or Caramel too! If you’re an International Delight love like I am, check out my Caramel Muffins recipe and sign up for their newsletter! You can also follow them on Pinterest, Facebook, Twitter, and Instagram to stay up to date on the latest products, offers, and recipes! 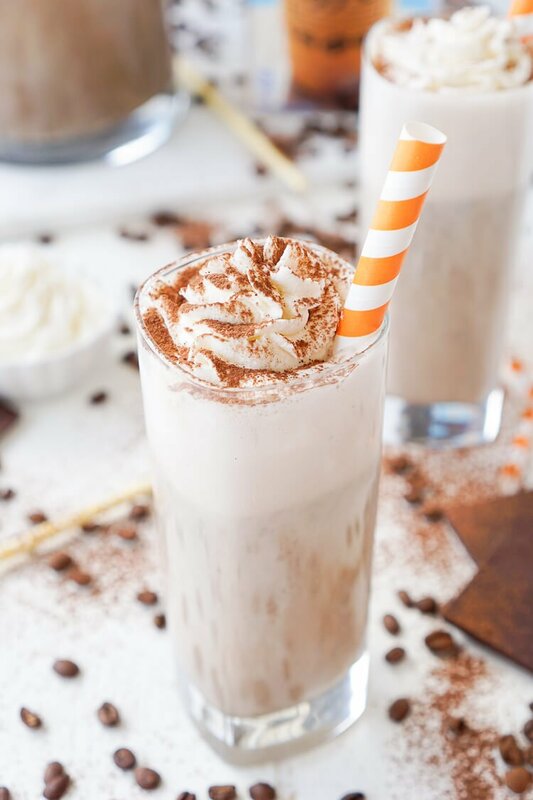 This Mocha Coffee Punch is bound to be a new party favorite by hosts and guests alike! It's easy to make and tastes amazingly creamy and delicious! 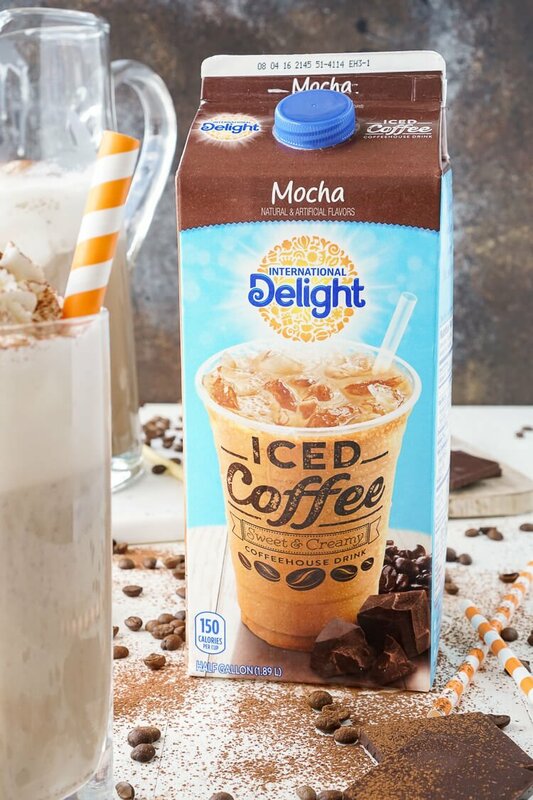 In a large pitcher or punch bowl, stir together International Delight Mocha Iced Coffee, milk, vanilla, and sugar. Add in ice cream. Pour or ladle into servings glasses and top with whipped cream and cocoa powder. The higher quality the ice cream, the more vanilla flavor you'll have in the punch. If using a generic brand, you may need to add an additional tsp of vanilla extract. For an alcoholic version add a splash of coffee liqueur. Wow, I’ve absolutely never heard of a coffee punch before. How does it differ from a frappuccino? What makes it a “punch” if there’s no fruit? Just curious. It looks amazing! I would love to grab a glass through the screen right now. Hey Heather, we always associate punch with lots of fruit, but the original punch was actually a large pot of spiked tea with lemon and sugar. Obviously, it has morphed over the years into any large batch party drink. 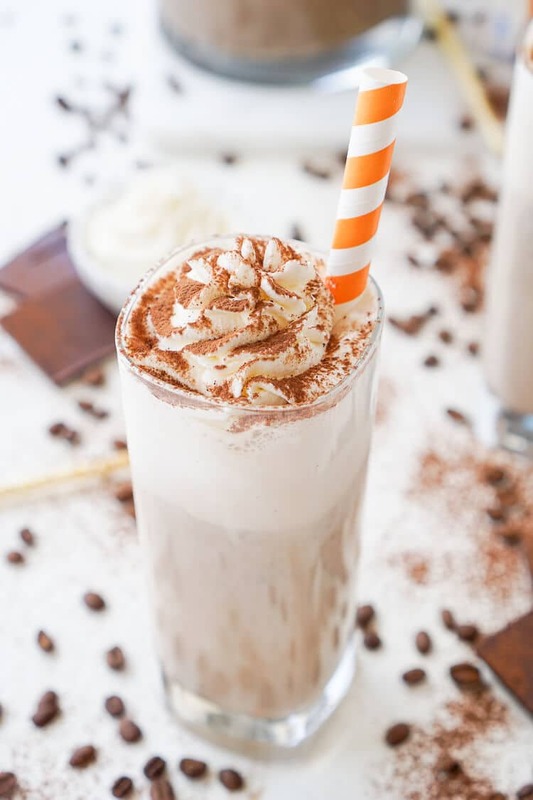 A frappuccino is blended and does not contain ice cream. This is a punch because it’s served in a large batch with a mix of ingredients. The ice cream takes the place of sorbet in many fruit punches we’re used to seeing. Hope that answers your questions and you get a chance to try it soon! Never actually heard of a coffee punch…. This sounds delicious… Amazing drink to start off the day…. Definitely! I hope you get a chance to try it soon! Served this at a Brunch today & it was a big hit! Will definitely make again! So glad everyone enjoyed it, Teresa!